TrucknTow.com is the best place to find Truck Accessories for your big rig, tow truck, autohauler or work truck. If you use your truck for work, then you owe it to yourself to check out our complete line of truck accessories and trailer accessories for the truck and truck driver. Whether you drive a tow truck, semi-truck, work truck, work van, dump truck, rollback, or refer truck; whether you’re pulling a utility trailer, a cargo trailer, an equipment trailer, a dump trailer, or a car hauler trailer — TrucknTow has the new or replacement truck accessory to keep you trucking. On our website you will find high quality ratchet tie down straps, specialty tie downs, chain tie down, and tiedown accessories for your flatbed truck from brand names like Vulcan®, Ancra®, and Durabilt®. Straps for Tiedown can be custom made or we offer a great selection of standard lengths and types. You will find the right truck light bar, truck work light, cargo light, cab light, or truck light from manufacturers like Whelen®, Star®, Federal Signal®, Sound Off Signal®, Code 3®, North American Signal®, Maxxima®, Grote®, and Hella®. We stock and offer Rigging, Lifting, Hoist, and Material Handling equipment. Find hooks for Rigging and Slings for Lifting everything. Slings can be custom or select from in stock certified Chain Slings and Nylon Slings. Lifting Sling Straps are made from Nylon or Polyester. All Slings meet OSHA safety standards. Manufacturers offered include Cooper Tools®, Columbus McKinnon®, and PEWAG®. Need a Tow Strap? We offer the best selection of Tow Straps anywhere.We have towing straps for every type of job. From light duty tow straps for towing cars to heavy duty Recovery Straps for Lifting large vehicles, TrucknTow can get you the right Straps for your tow or recovery job. If a Strap won’t get the job done, we offer every type of Tow Chain, Tow Hook, Truck Chain. and Chain Hook. We sell Hi Test Grade 43 Chain, Grade 70 Chain, Grade 80 Chain, Grade 100 Chain, and super high strength Grade 120 Chain. We make it easy to match your application with the right chain. You will find DOT compliant truck reflective tape and ANSI compliant trucker reflective vests, safety vests, and reflective clothing from brand names like 3M®, Reflexite®, Occunomix®, and Xtreme®, Take a look around for life simplifying accessories for inside your truck cab or camper. Look for service truck accessories like jumper cables, jump starter systems, and portable jump packs. We stock Jump Starters from Associated®, Jump-n-Carry® and Clore Automotive®. Pick a jump starter that is right for you. Find every size and type of truck tool box. Truck tool boxes are made of steel and aluminum by Buyers®, RCI®, Phoenix® and Bawer®. These Truck Boxes are made to fit under the body, behind the cab, or on the front of the trailer. Truck toolboxes are available in many sizes with several door styles. Choose the truck box that’s right for your job. Browse through hard to find automotive tools, air tools, heavy duty truck repair tools and lifts specifically designed for heavy truck repair. We stock GOJAX®, Ingersoll Rand®, and many more.  Thank you for choosing TrucknTow.com as your trucking and towing accessories supplier.